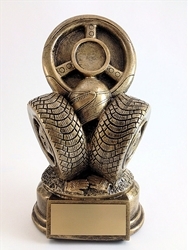 A unique award for Car, Truck & Motorcycle Shows. 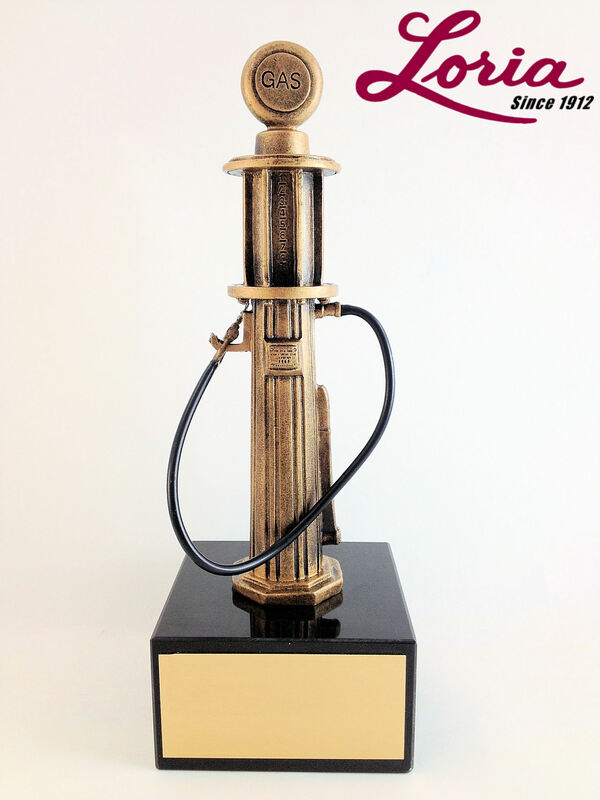 Recognize accomplishments in the automotive industry. 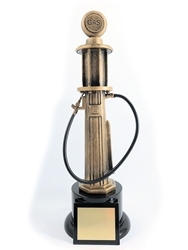 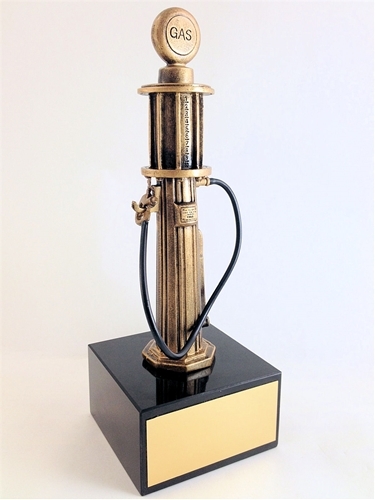 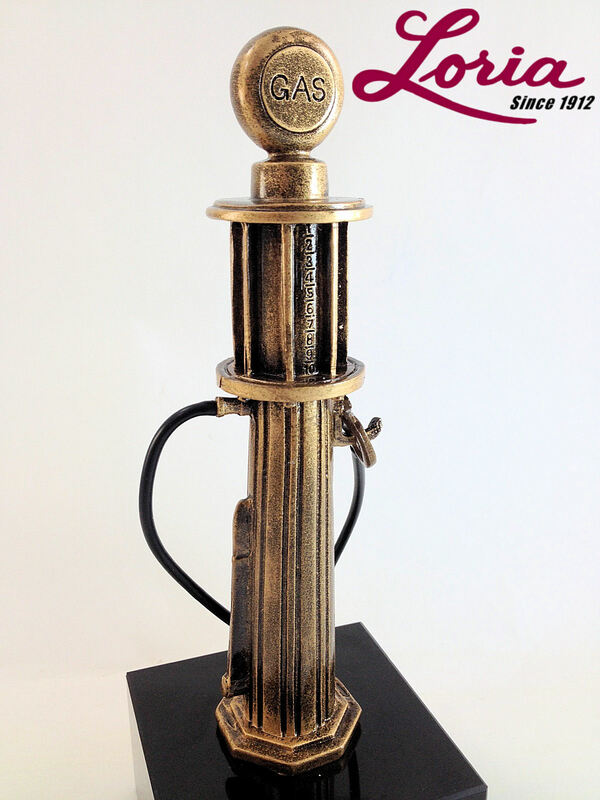 Detailed gas pump resin sculpture with antique gold finish on genuine black marble base. 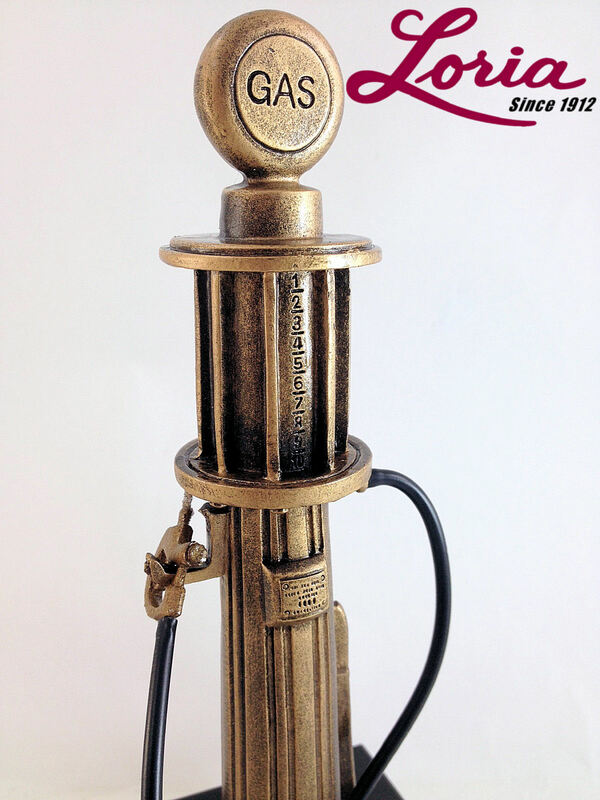 Gas handle and rubber hose are removable from the pump mount. 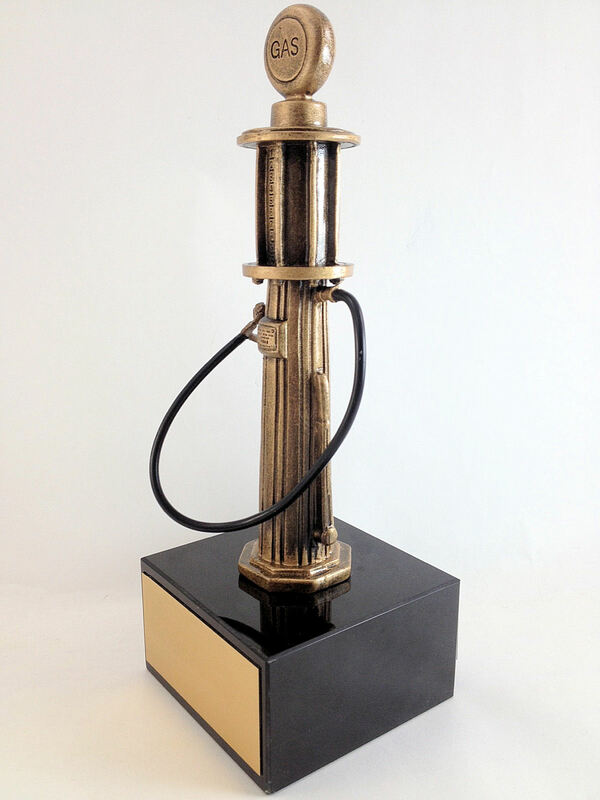 Gas pump 8" tall - Black marble block base 3 1/2" square x 2" high. 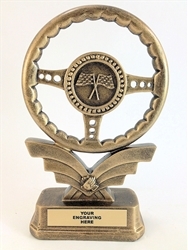 Satin gold engraving plate included. 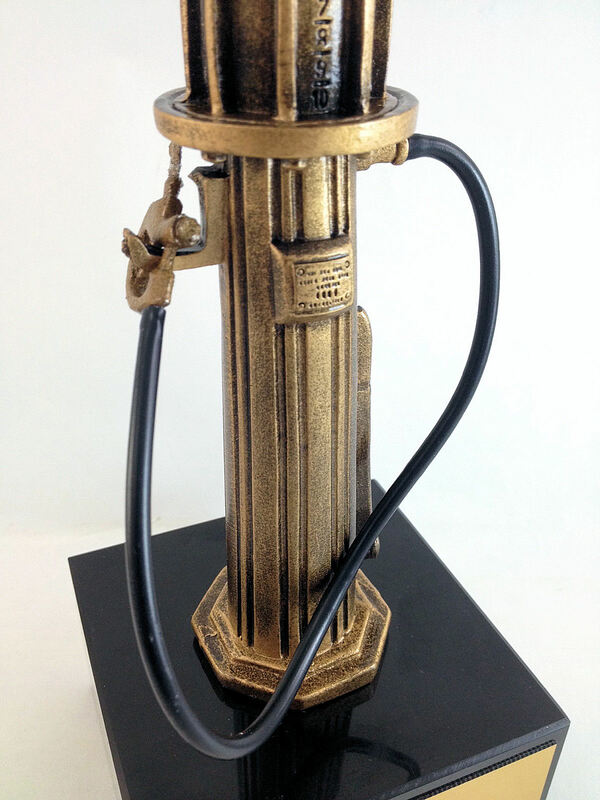 Allow 3 - 5 days for production plus shipping time.